Shabbat is a day of rest, set aside from all other days. 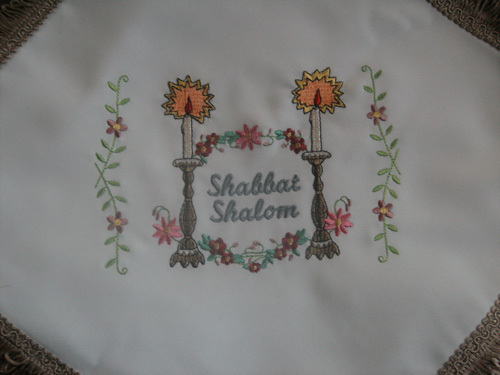 Shabbat begins on sundown on Friday night and ends on Saturday night at sundown. It is a day that is set apart from the rest of the week. The sewn out size is 5.08" W x 4.99" H with 20,865 stitches. This design has 12 thread colors.